I like chocolate, nuts, and monkeys. 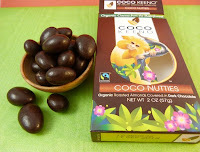 So, I was drawn to today's Organic "Coco Nutties" -- roasted almonds covered in dark chocolate from Wonder Food Co. (Palm Desert, CA). The packaging was adorned with an illustrated golden lion tamarin monkey. 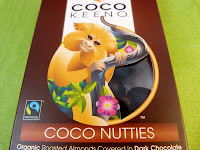 These Coco Nutties were part of the Wonder Food's Coco Keeno line of chocolates. 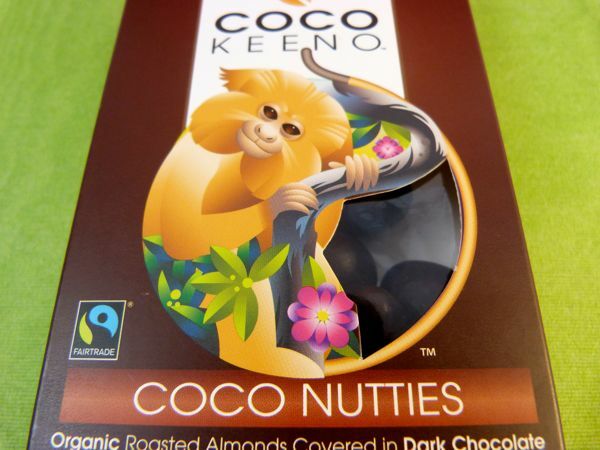 (A loose translation of cocoa and quinoa, Coco and Keeno are also the names of the company's monkey mascots. Their real world (monkey) counterparts are South American rainforest canopy dwellers.) 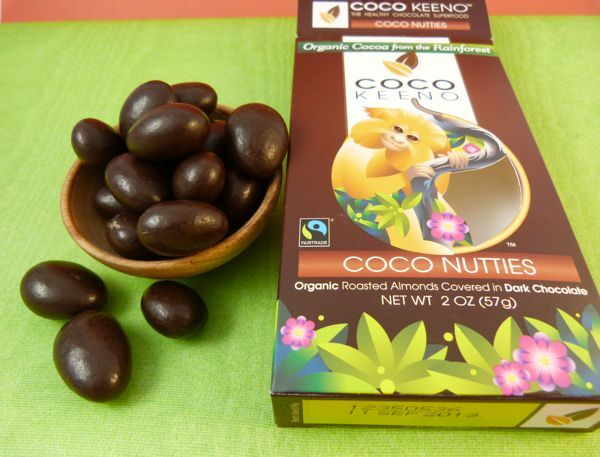 The company specializes in treats made with (or covered in) "organic cocoa from the rainforest." The 70% dark chocolate coating enveloping the almonds was rich and complex in natural, undiluted/unadulterated flavor (which I liked); although the overall product seemed quite sweet. (Organic sugar was the first ingredient listed.) The roasted almond center(s), were nicely done, and crunchy.